Found 3 file extension associations related to Wwise and 3 file formats developed specifically for use with Wwise. 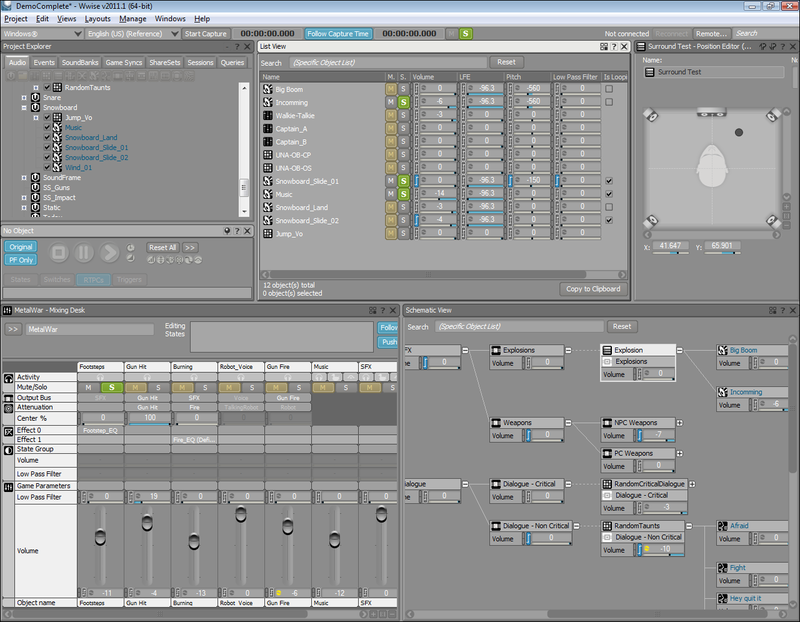 Wwise features both an optimized sound engine for managing audio processing and a non-linear audio authoring tool for creating audio asset structures, integrating interactive music elements, defining audio propagation, managing sound integration, and creating SoundBanks. The tight integration of the audio authoring application and the sound engine allows you to mix, profile, and modify sounds in real-time within the game itself. If you need more information please contact the developers of Wwise (Audiokinetic Inc.), or check out their product website.